The 24-year-old finished the day with a timing of 3:00:28 even as Germany’s Sarah Appelt led in the women's division. 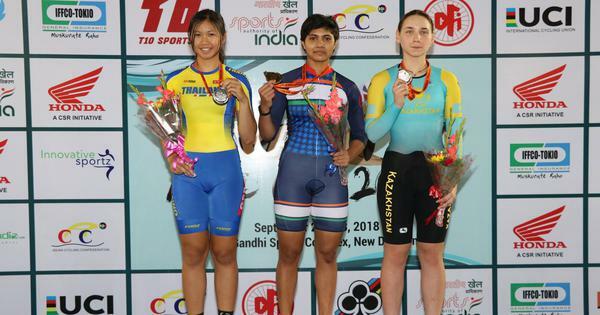 Shimla: India’s David Kumar emerged as the leader in the Open men’s solo category of the MTB Shimla 2018 mountain biking race which flagged off on Saturday with 83 riders, including eight women. David covered a distance of 55.2 kilometers in three hours and 28 seconds on day one of the two-day event. “It was tough as expected,” said David. “There was a lot of climb. There was no flat tracks. There was either downhill or uphill. Both were really scary. Downhill was really loose gravel and really steep. Compared to last year we had a steep climb but long downhills. This time it wasn’t like that at all. It was different and tough,” he added. The route for the first stage saw the cyclists make their way through broken tarmac, rocks, stones and plenty of off road single trails. The elevation gain during the first stage of the race was 1975 metres while descend was up to 1885 metres. The race route covered the old kingdom of Kyarkoti and Mashobra, that was once inhabited by a Nepali King. The route also featured a climb from Kyarkoti to Craigneno, which was no mean feat for even the most seasoned riders. Meanwhile, Germany’s Sarah Appelt dug deep to finish 10th overall in the race and first in the women’s division with a time of 3:54:41. “I really liked the new track. I was surprised how good it was. I loved the route,” said Appelt. “It was a pleasant change because last two years the route was similar so this was new and refreshing. There was lot of off roads which is good for a mountain race,” added Appelt, who is the defending champion. 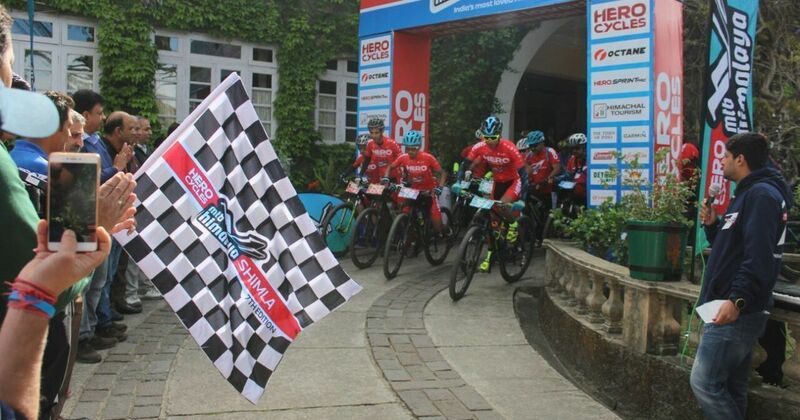 The German, who has been racing in the MTB Shimla for the past two years, said the trickiest part on day one was the downhill section. “The downhill was challenging because people are ahead and behind of you so you have to be careful. They were trying to overtake us so it was quite intense,” she said. The route for the first stage saw the cyclists make their way through broken tarmac, rocks, stones and plenty of off road single trails. The race saw as many as 15 riders drop out while some riders needed medical attention as well. A few of the riders got stung by bees and pricked by thorns, which is common during a mountain biking race. David, who has a lead of 11 minutes and two seconds, hopes to extend the gap when the race resumes on Sunday. “I don’t want to lose my grip on the race. There is a lot of pressure if you are the defending champion. Last year I had broken my chain on both days so I am praying nothing of that sort happens,” said 24-year-old David. Appelt, meanwhile is hopeful that she doesn’t face any mechanical difficulties. “Maintaining my position and hoping there are not mechanical difficulties. Mountain biking you never know what can happen. People might crash into you as well,” she said. 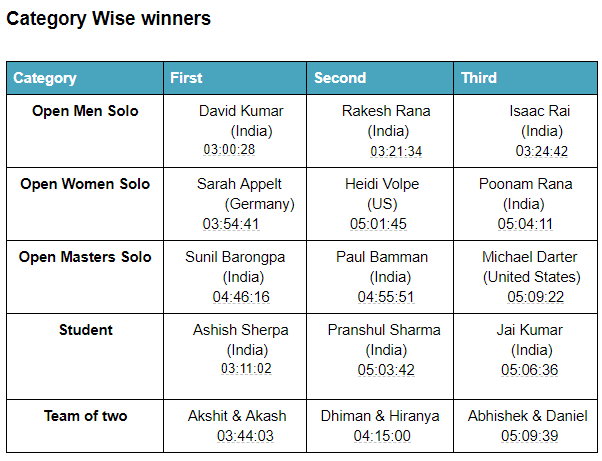 Meanwhile, the winners in the Masters Solo and the Team of Two category were Sunil Sarongpa with a timing of 4:46:16 and Akshit Gaur and Akash Sherpa with a timing of 3:44:03.